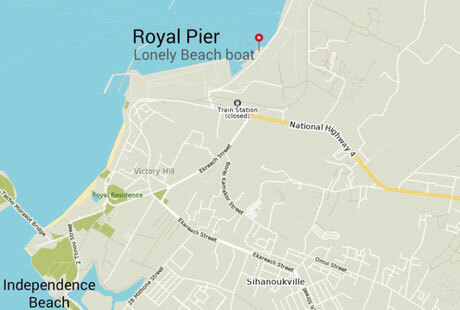 Our boat leaves Sihanoukville at 1 PM from the Royal Pier and arrives at Lonely Beach after approximately 3 hours, depending on weather and waves. We moor in the bay in front of the Lonely Beach Resort where a small boat takes you to the shore. On return to Sihanoukville we leave Lonely Beach at 8 AM and arrive in Sihanoukville about 3 hours later. A taxi or tuk tuk pick up can be arranged. The boat fare is US$20 round trip. Our ferry boat departs from the Royal Pier - also simply known as the local fishing port. 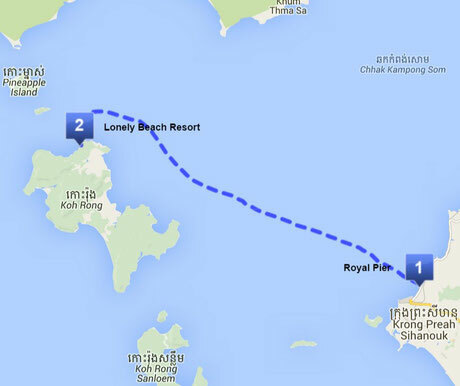 It lies behind the huge international "Autonomous Deep Water Port" on the road towards Hun Sen (Prek Treng) Beach. 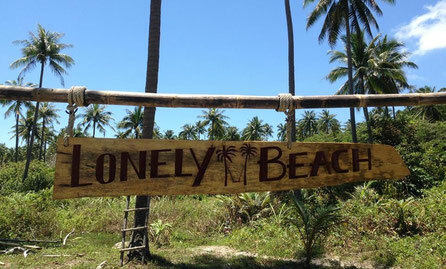 Please keep in mind that our "Lonely Beach ferry boat" is the only transport that goes to the Lonely Beach Resort.